Intricately detailed heart charms in filigree, locket, and crystal-studded styles adorn the Kassidy bracelet. 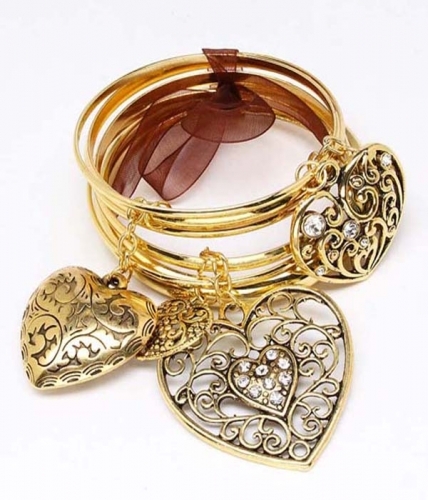 Featuring a set of delicate cast gold bangles, finished off with a gorgeous chiffon ribbon. A keepsake for your jewellery box. Add this unique jewellery piece to your new outfit and watch those heads turn!